Whether it’s a necessary dietary restriction or a lifestyle choice, going gluten-free can mean trading stomachaches for headaches if you don’t want to hand-make every meal. Never fear — we’ve combed through Columbus restaurants and highlighted the easiest places to eat sans gluten. But don’t worry — there is no shortage of flavor on this list. This little rabbit-themed gem in Grandview and Polaris is as industrial-chic as a restaurant can come. 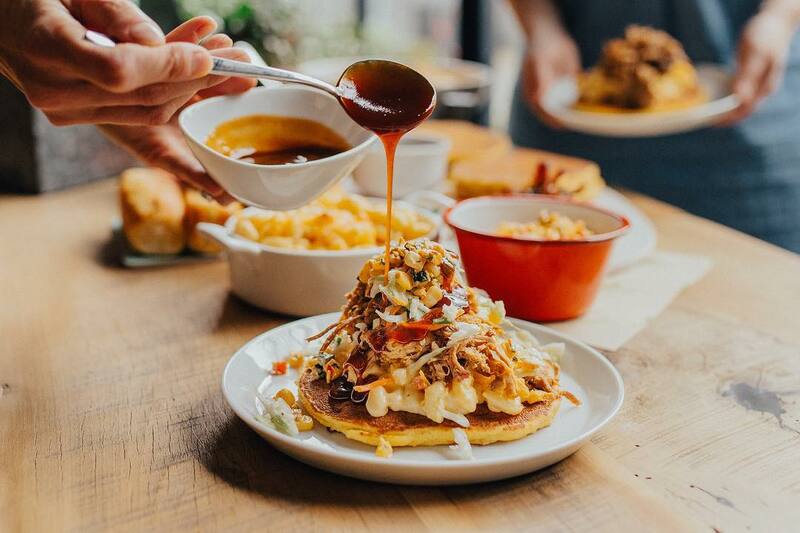 Sweet Carrot’s simple menu includes their signature, naturally gluten-free corn cake that comes smothered in slaw, corn salsa, and a homemade sauce. And this isn’t a cute muffin remake — we’re talking a pancake-sized corn dream. Top it with house-smoked brisket, pulled pork, smoked turkey, or fried artichokes for you meat-abstainers. While you’ll have to skip the mac n’ cheese, we promise you’ll get your fill of comfort food while keeping your gut happy. No critical menu-reading here; everything at Bake Me Happy is gluten-free. 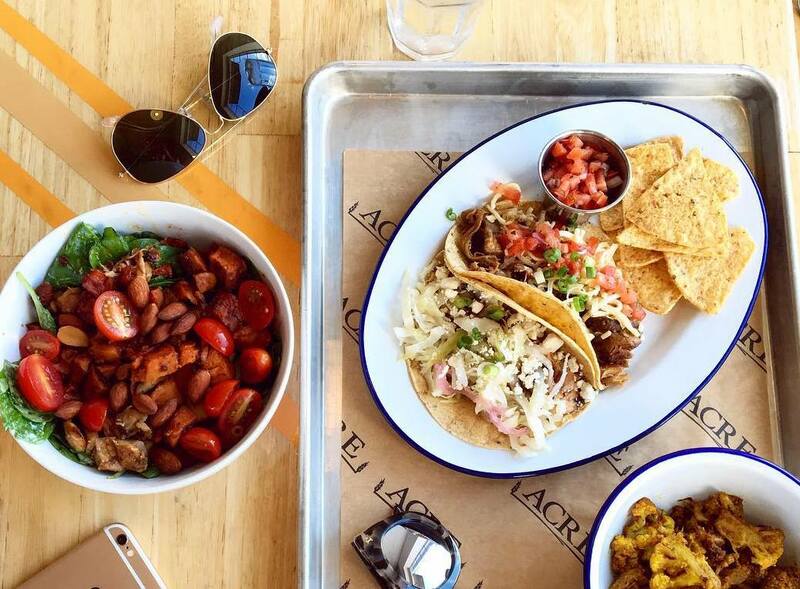 While this certainly doesn’t mean their list of delectables is extremely healthy, it’s a great place to splurge on cheat day. For instance, you can relive your Little Debbie days with their Oatmeal Creme Clouds: soft molasses cookies flanking a generous dollop of marshmallow creme frosting. And these sweet treats are sold at retail stores all over Columbus — Hills Market, Weiland’s Market, even the Zoo! 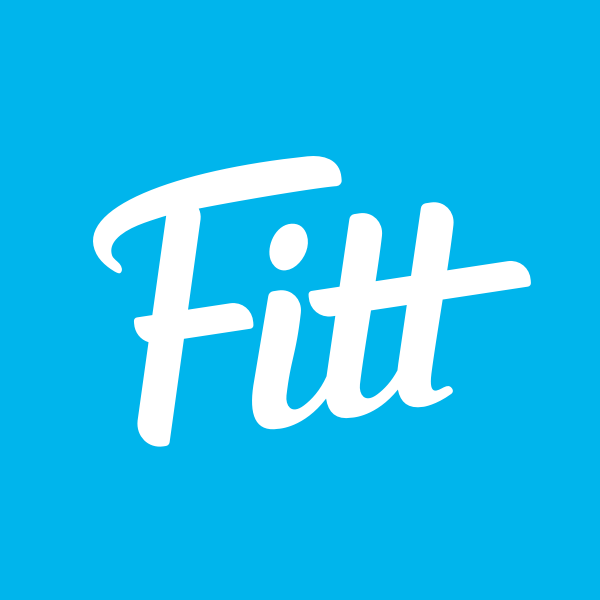 Fitt Tip: Buckeye football fans can stay gluten-free on game day! Bake Me Happy opened a stand inside the Shoe (section 19A) selling their famous gluten-free sweet treats as well as traditional game day fare like hot dogs and brats (on gluten-free buns!) and loaded nachos. They even sell hard cider and gluten-free beer to wash it down. With two locations, Grandview and Clintonville, Acre serves hearty, wholesome food made by ingredients grown and raised by fellow Ohioans. While their entire menu isn’t strictly gluten-free, it is clearly marked, so you know what options to steer clear of. An easy score are their bowls, made with a brown rice base and piled high with warm meats, veggies, and house-made sauces. And their seasonal menu highlights the area’s freshest produce, so check in often. Bonus: they offer online ordering, so you can either waltz right in and pick up your work lunch, or even drive through at the Clintonville location. The food at Portia’s is so clean it squeaks. No, not really, but this all-vegan, gluten-free, organic GMO-free restaurant on Indianola Ave. will have you healed from the inside out by the time you leave. Try the Mediterranean Wrap packed with hummus and falafel and a hefty dose of fresh veggies. Or, give tapioca-based cheese a go with one of several customizable quesadillas. They also boast an impressive list of smoothies, kombucha, and teas if you’re just looking for a snack with a straw. If you eat gluten-free regularly, you’ve probably sworn off Italian restaurants from the get-go. Things have changed. 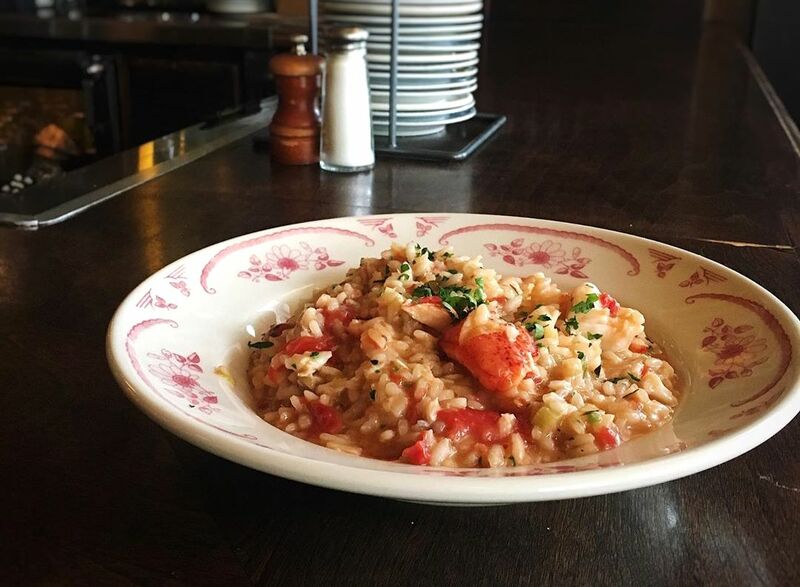 Head to Short North or Polaris to get your taste of Italy — hold the regret, per favore. Marcella’s offers a beautiful array of classic appetizers like shaved prosciutto and melon plus a completely separate gluten-free-friendly menu, so be sure to ask your server when you’re ready for entrées. All their pizzas can be made with gluten-free dough, and they have several gluten-free penne pasta choices. 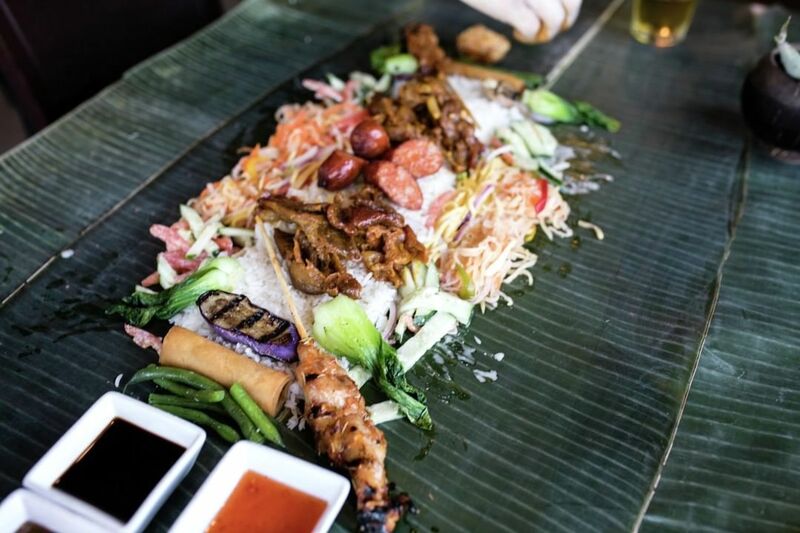 The popularity of Filipino food seems to be on a quick rise, and we can understand why — even if you didn’t grow up in the culture, there’s something comforting about the dishes. Bonifacio opened on King Ave. in 2016 and has been a hit with Grandview diners ever since. Bonifacio has a clearly-marked menu denoting which options are free of gluten, but abstainers won’t be missing out on any of the good stuff. Try the Pancit Bihon, a rice noodle dish with sautéed sausage and loads of vegetables. One thing is for sure: you will not leave hungry. Never have exposed brick and ductwork looked so romantic. Basil, with locations in the Short North, Brewery District, and Upper Arlington, serves up family-inspired Thai cuisine. Gluten-free items are clearly marked on the menu and they include Pad Thai (which can also be made with tofu for a vegan option), red and green curries, and melt-in-your-mouth crispy rolls made with a thin rice and crammed full of ground chicken, vermicelli noodles, and probably the secret to happiness. Though, the restaurant does note that gluten-free patrons should notify the server of their dietary restrictions to ensure compliance. 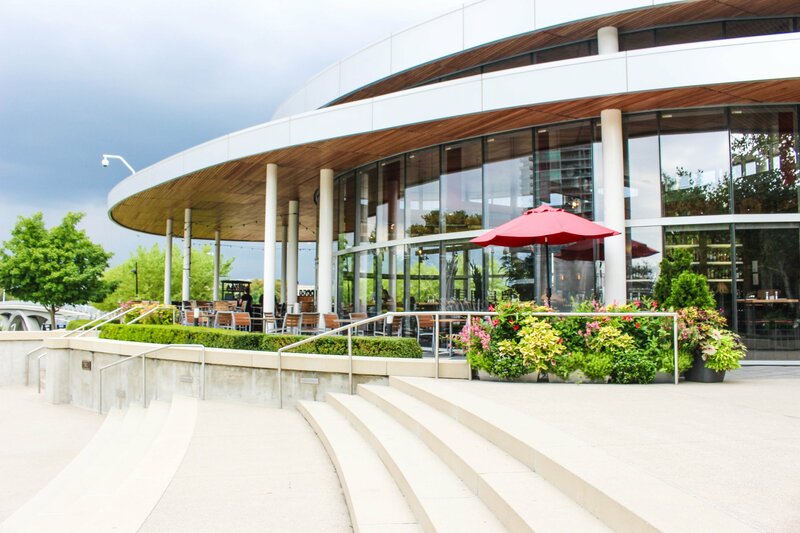 Come for the views, stay for the great food. Situated right on the Scioto River, Milestone 229 is a getaway for date night or a relaxing weekend brunch. 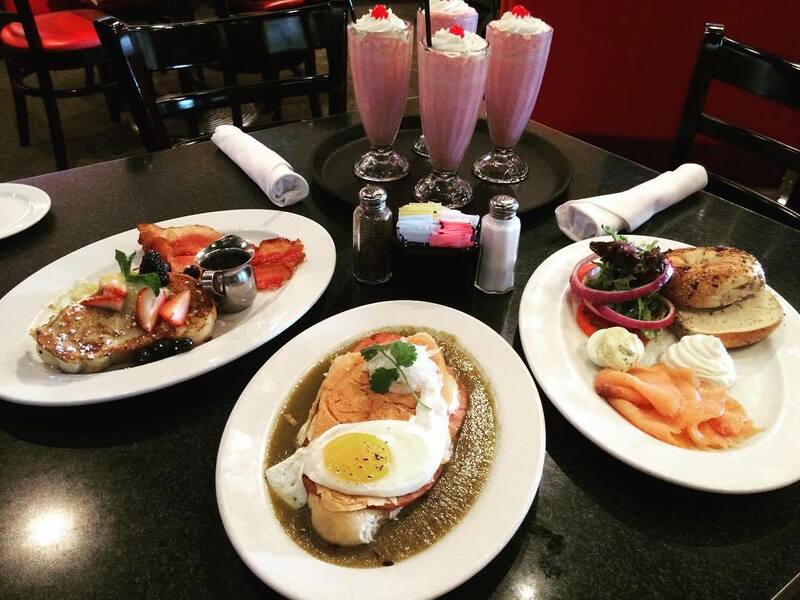 With separate gluten-free menus for brunch, lunch, and dinner, all the hard work is done for you. Treat yourself to braised short ribs made from Ohio Proud beef, served with Ohio corn (which you know is plentiful if you’ve ever been in a car in Ohio), heirloom tomatoes, and sautéed kale. Stopped in for their famous happy hour? Walk it off in Bicentennial Park, Milestone 229’s backyard. First off, all pizzas are available with a gluten-free crust. 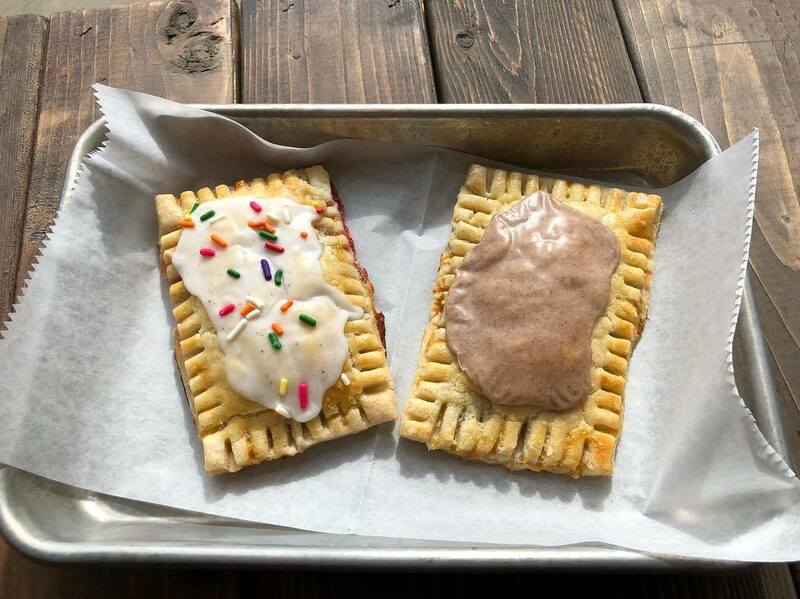 And as another restaurant that proudly serves Ohio-based meats, cheeses, and produce, Harvest Pizzeria offers just about anything you could dream of (within reason) to top your pie. From the tried-and-true margherita to the funky Geary Street (who loves clams? ), you can bring the whole gang and satisfy everyone. Aunt Margaret being difficult again? There’s also a “get creative” option for those who like to add their own rainbow of toppings. They have four Columbus-area locations: German Village, Clintonville, Dublin, Bexley, and Grandview (coming soon). 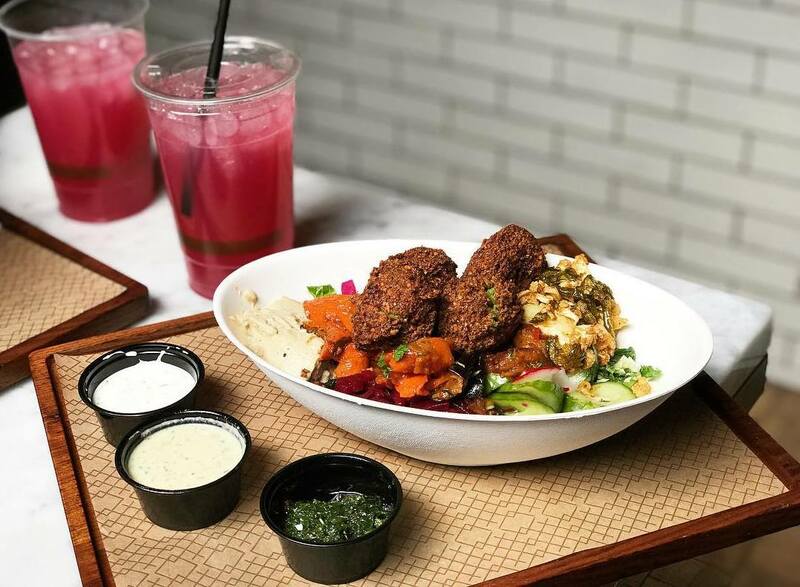 We love this veggie-centric Mediterranean hot spot and are happy to see it expanding in Cbus — Short North and Bexley with Upper Arlington coming soon! And the only ingredient with gluten on the menu is pita and the pita chips. Don’t worry — this leaves you with plenty of options. Like a bowl of greens filled with falafel, chicken, brisket, glazed bacon, or vegetables (you’ll definitely want to stock up on these bad boys). Eating gluten-free has never been so colorful! 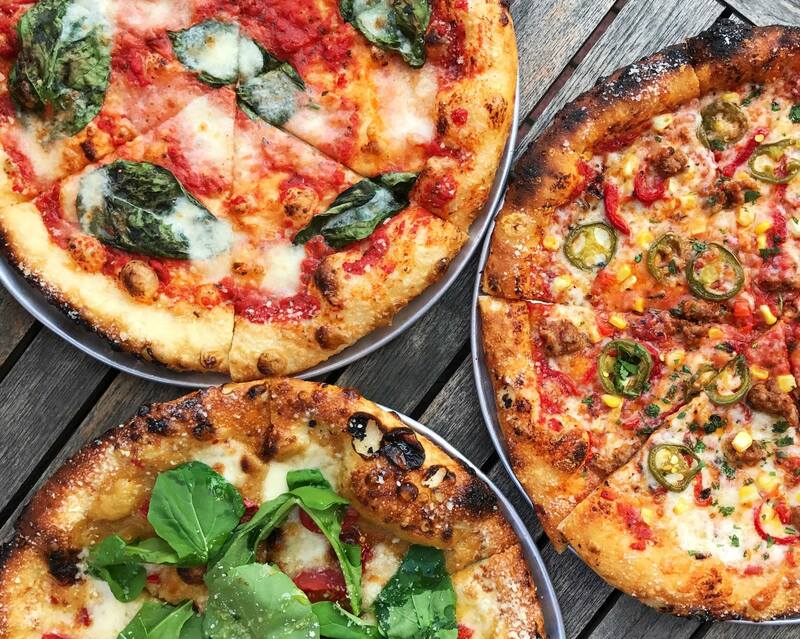 This Columbus newbie has added lots of goodness to the city. 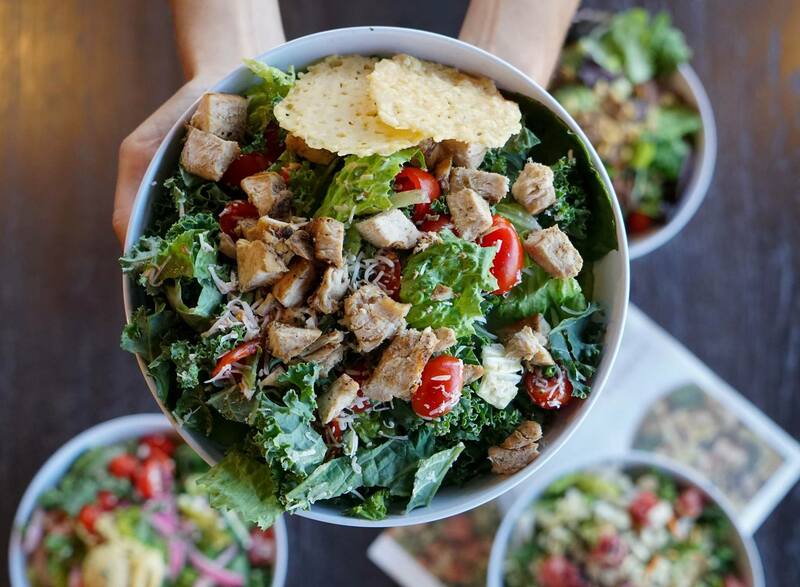 At this fast-casual restaurant, whole foods are stealing the show, leaving you full and energized. And they’re making things easy for gluten-free folks aka everything is gluten-free except the bread. 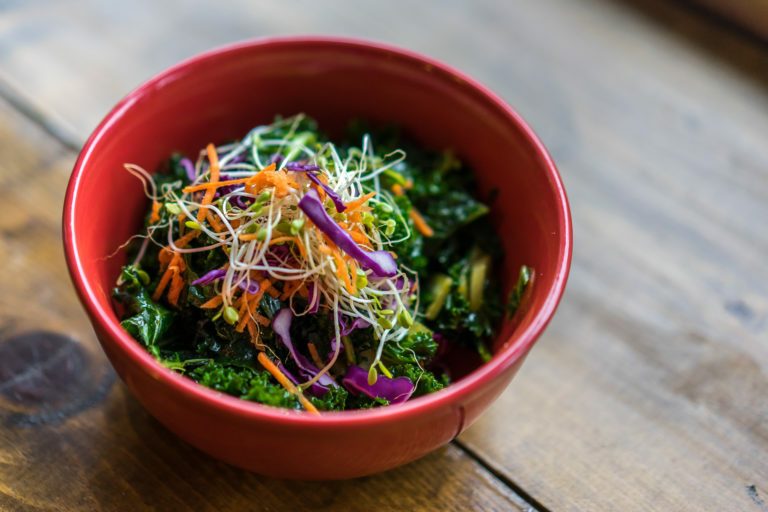 Whatever flavor you’re craving, this eatery has got a bowl for you! 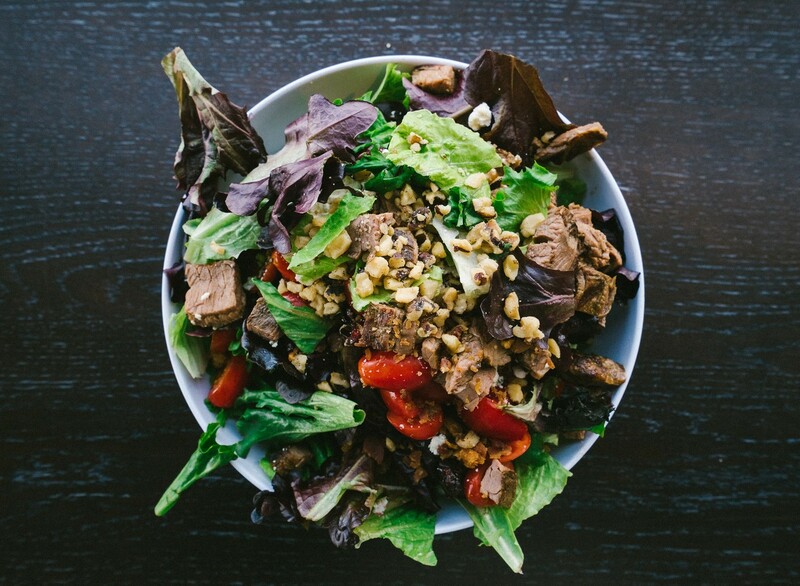 Stop by one of their two locations, Polaris or Lennox (coming soon to Lane and High), for a clean, healthy, and delicious meal. Sometimes, we just want some good ol’ comfort food, and we want it gluten-free. Well, this modern diner is making it possible with trendy twists on the classics. 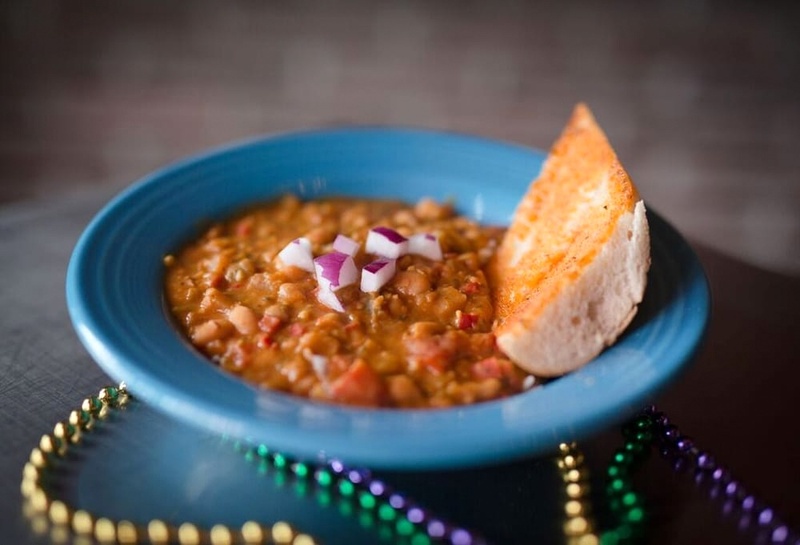 Cap City offers an entire gluten-free-friendly menu. That’s right — you can get your favorites like pan seared salmon with sticky rice and veggies or balsamic chicken with mashed potatoes and sautéed spinach. We promise you won’t feel limited with this menu… all sandwiches are even served with a gluten-free bun. Head to Gahanna, Grandview, or Dublin to get your fix. Just remember to let your server know that you’ll be ordering your meal sans gluten! 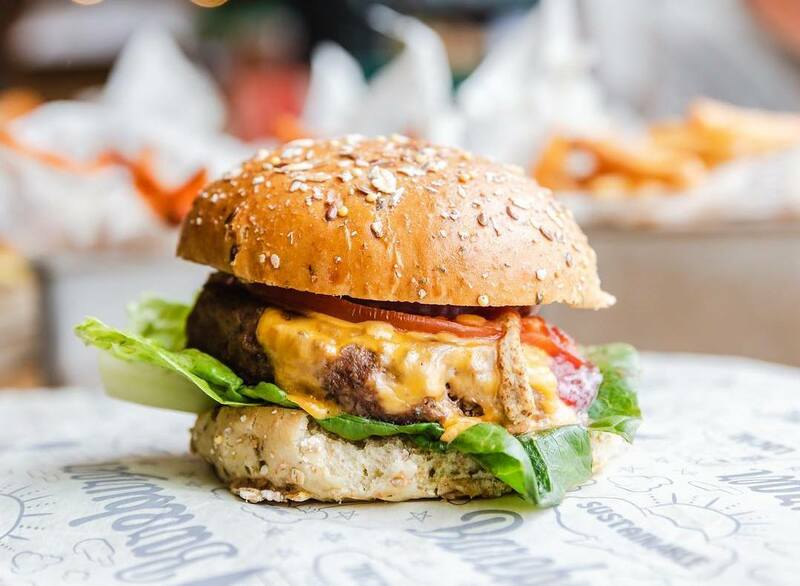 A burger joint with smart, healthy options? Count us in! This chain is all about serving clean comfort food (we like that) for everyone (even better!). They’re doing this by working with area farmers and partners to create local, organic, and sustainable food. And what’s even better is this menu is over one-third vegetarian and plant-based. For the gluten-haters (as they call them), their menu is clearly labeled and leaves you with TONS of options. You can build your own burger with seven different patty varieties. And if burgers aren’t your thing, they have some killer salads that are sure to make you smile. Help support a better food system by grabbing a burger in the Short North or Clintonville! 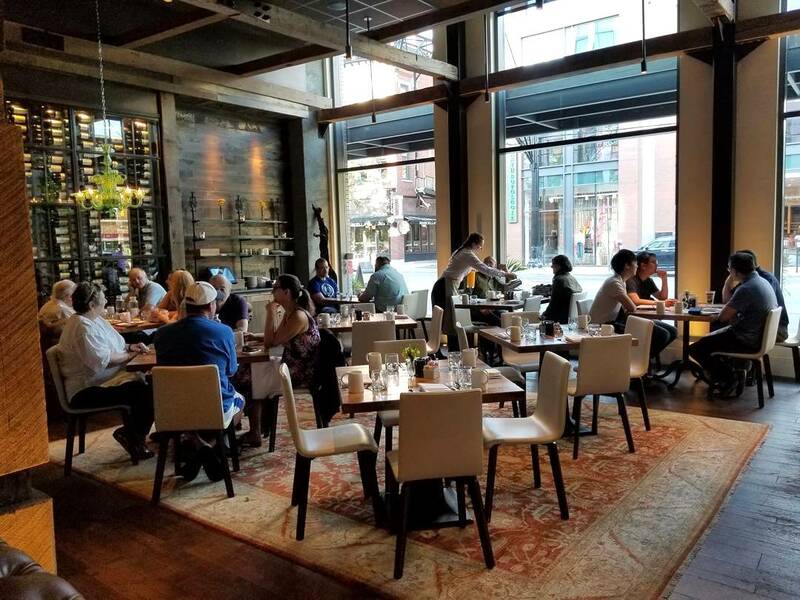 Welcome to the heart of the Short North, where the atmosphere is noteworthy and the food is really good. Inspired by the former automotive showroom, Hubbard Grille offers modern American fare with seasonal dishes and quality drinks… like a Salmon BLT and Agave Cooler with grapefruit, lime, and fresh basil. Their menu is clearly labeled with gluten-free options (just remember to request!). They’re offering the likes of tuna tartare, seared scallops, and filet mignon with asparagus and gold potatoes, all suited to satisfy your gluten-free cravings! 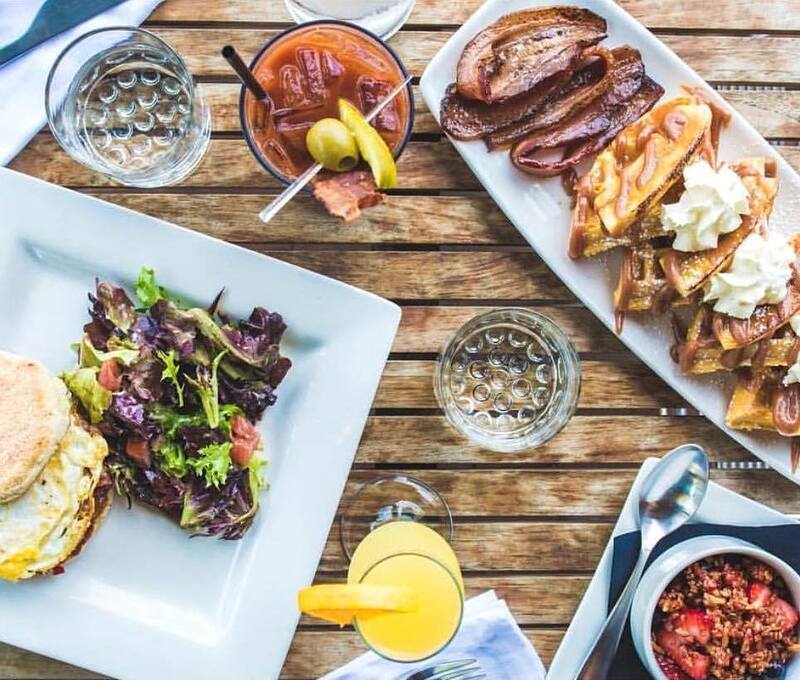 This Short North hot spot features creative American cuisine for breakfast, lunch, and dinner, with gluten-free-friendly menus for each meal. 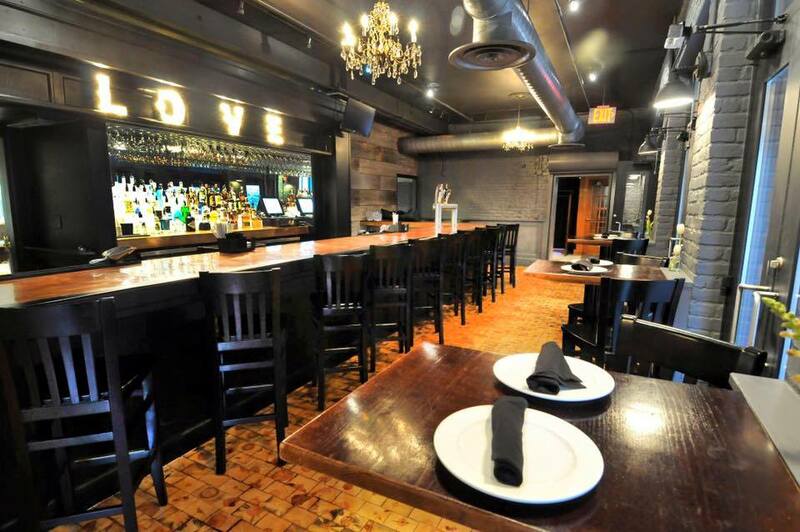 Their chic, yet rustic, atmosphere will have your mouth watering from the moment you sit down. Enjoying breakfast? You can’t go wrong with the Smoked Chicken Hash (two poached eggs, sweet potatoes, bacon, roasted poblano, caramelized onions, gouda, salsa verde, and a whole lotta yum). Or, stop by for lunch or dinner for a veggie-packed, decadent meal.